This weekend the "Sea and health" weekend takes place. It's an activity open to all the publics and free. You must register yourself before because places are limited. You can do it from September 6 through the website of the Chair of Oceans and Human Health. 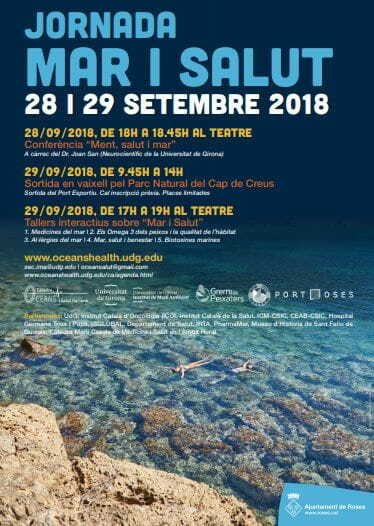 9/29/2018, from 9.45 a.m. to 2 p.m.: Boat trip on the Cap de Creus Natural Park. Departure from the port. Pre-registration required. Limited places.